? 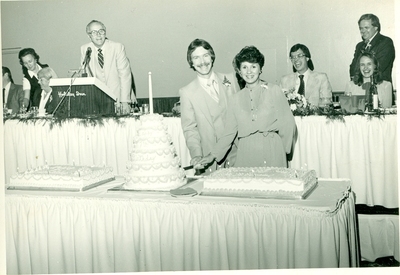 ?, Ellwing Spiker (at podium) Andrea Sawka (front cutting the cake), Richard C. Cipoletti, Jack Dittbrenner, ?? Do you know what the special occasion was? Can you help us fill in the blanks and confirm our identifications?